With autumn comes a milestone that few eighth-graders relish: prep for the SSAT or HSPT exams. And it’s no wonder. Remember that even high school juniors dread the SAT and ACT, and in truth, a two- to three-hour standardized test is far from developmentally appropriate for a student still in middle school. For that reason, we encourage a light touch on test prep, with slow and steady practice meant to introduce test-taking strategies without overwhelming a student new to standardized tests. 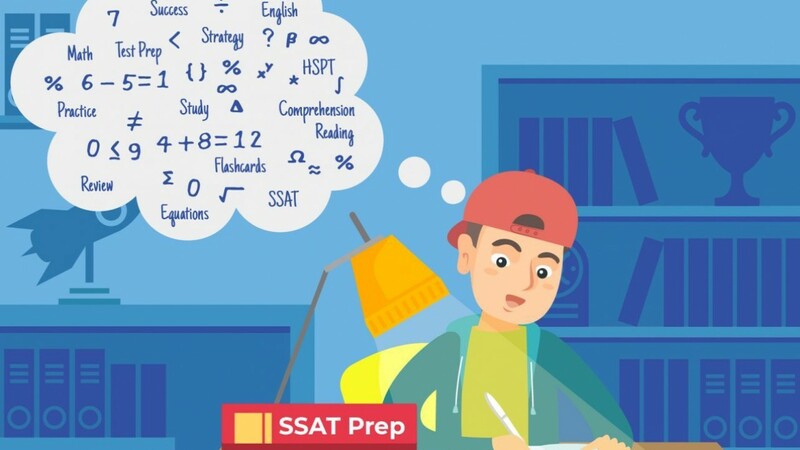 Rachel Zayas, Tungsten Prep’s SSAT and HSPT guru and lead Middle School tutor, answers your questions on how to prepare for these exams without creating undue stress. There are a lot of prep books out there, but what kind of resources do you recommend for self-study? The SSAT offers an official guide and extensive online practice that can be purchased on its website. While it’s always best to get practice problems directly from the test-makers, the SSAT’s option can be a bit pricey at nearly $100. The good news is we’ve found cheaper ways to get the same resources. You can purchase a used copy of The Official Study Guide for the SSAT for no more than five dollars through online vendors, and since the SSAT hasn’t updated the book or exam since 2014, you can get all the same problems and practice tests for a fraction of the cost. In contrast, the HSPT deliberately doesn’t offer official resources or release old tests, stating on its website that “a well-rounded education is the best form of preparation.” And of course, that’s ideal, but the reality is that students do feel better when they head into test day feeling prepared. We like Princeton Review’s HSPT study guide –it offers two practice exams, and plenty of practice problems. How do we develop a plan of action? Start with a timed practice test. It gives you a baseline to identify strengths and weaknesses and will help you chart progress, which can keep you motivated. Again, since HSPT does not offer official practice tests, your best bet is to take an unofficial test from the study guide. The official SSAT review guide provides two practice tests, which you can be confident reflect the test itself. And you can even find a free SSAT practice test online here. And remember, two practice tests should be more than enough for most students –the point is not to go overboard with prep. But the secret to efficient test prep is to make really strategic use of each practice test. Don’t just take the test, score it and then put it aside. Carefully review the test, correcting each wrong answer and reviewing material as you go. Ask: why did I get this question wrong and how can I make sure I get a similar question right next time? Identify areas of weakness to focus your prep. For students who struggle in Math, make a list of specific topics to review: geometry, fractions, patterns, and so on. Then tackle the list one-by-one by practicing worksheets from your book or designed by a tutor. The test feels so rushed. What tips can you offer for time management? Students need to understand that it’s normal to feel rushed on a standardized test. In fact, that’s part of the test maker’s design: efficiency is a major part of academic success, and a skill they want to evaluate. So the key to a fast-paced test is to approach it confidently and swiftly. A standardized test requires a total shift in mind set from that used on a regular exam. In school, students may recognize or master 90 percent or more of the material on a given test, because that material is finite and might cover only two or three weeks of classwork. But the SSAT and HSPT are comprehensive exams, so it’s normal to encounter unfamiliar material. Students who don’t let a few tricky questions throw them off their game tend to do best. If a question is taking too long, use the process of elimination or move on. I always tell students: Don’t win the battle but lose the war. The student who dwells on a single question misses the chance to answer two or three better-suited questions.